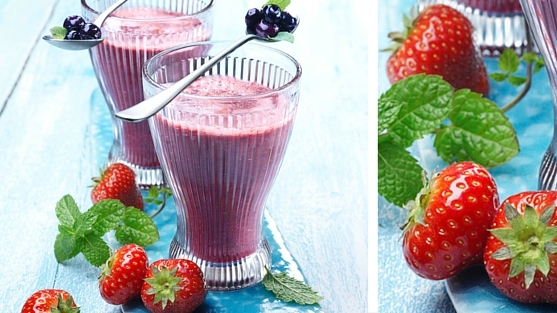 Place the frozen Wild Blueberries into a blender with the strawberries. Peel the oranges and remove white skin. Cut the oranges in half and remove the white part. Cut into small pieces and add them into the blender. Peel the banana and also cut it into small chunks. 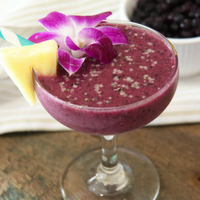 Add banana and Wild Blueberry juice into the blender and mix to a creamy texture. 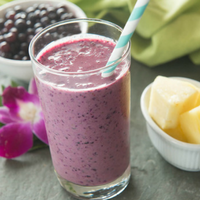 Tip: If you prefer the smoothie a little bit sweeter, add a more Wild Blueberry juice.